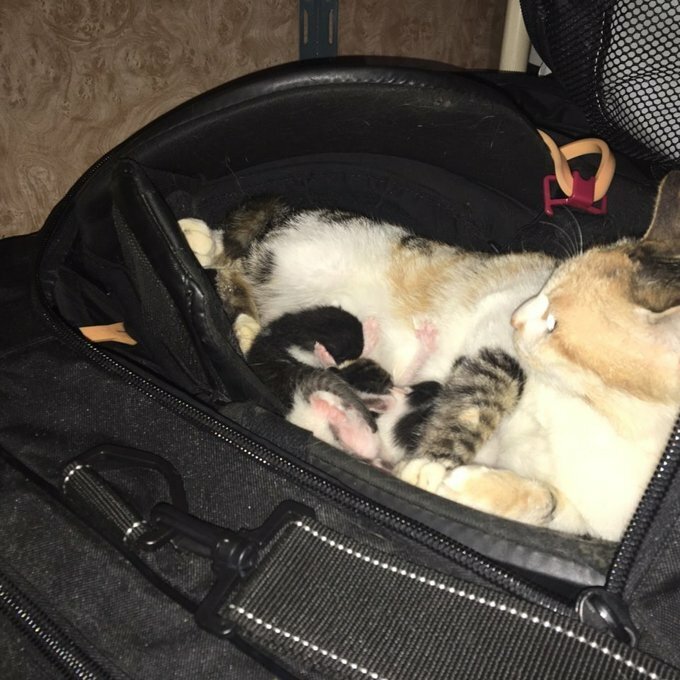 A team of hockey players showed up for practice to find that a stray mama cat had given birth to her kittens in one of the hockey sacks. Mama kitty and 4 tiny babies. 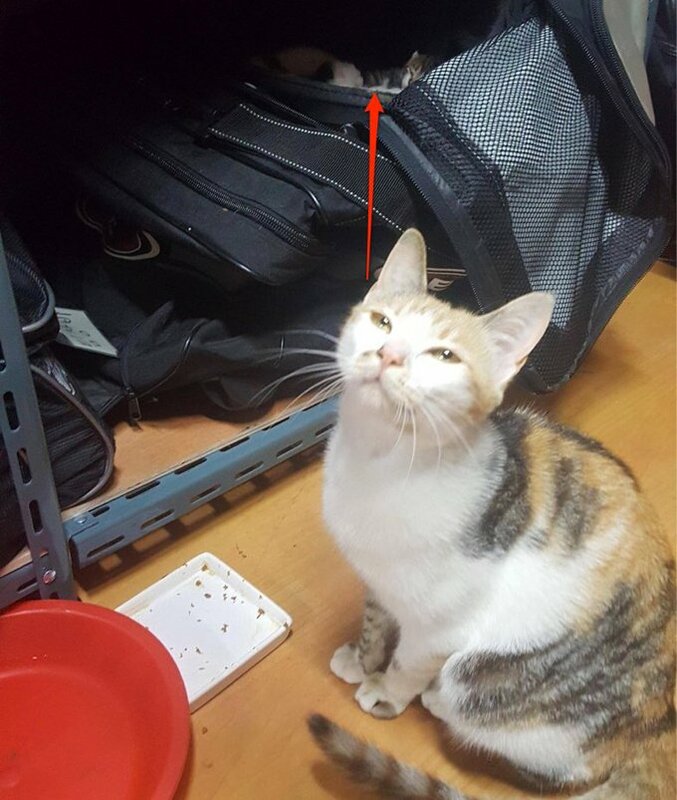 They knew the cat because she is a local stray that they see hanging out around the locker rooms. When the players showed up the mama cat seemed happy to introduce her babies to them. She wasn’t afraid or nervous at all. She seemed to know they were not going to harm her or her babies. 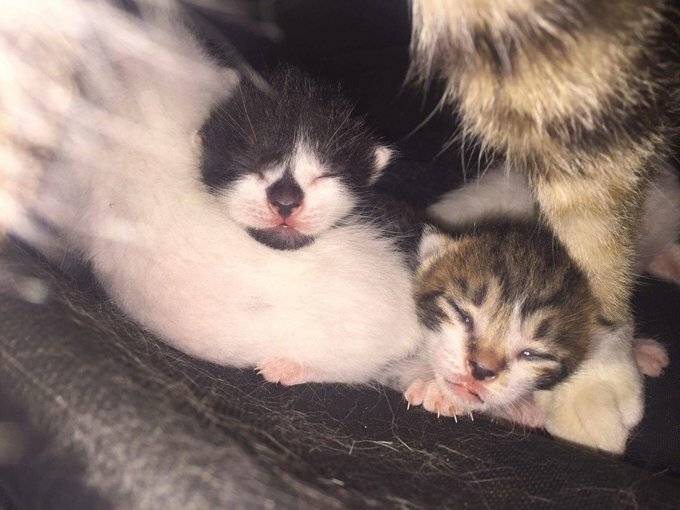 The men knew to leave the mama cat where she was and they’ve been caring for mama and the babies for several weeks now. She’s being spoiled and they are bringing her lots of treats.